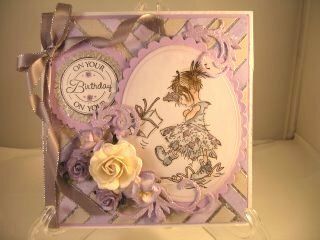 For a really effective look to your card creations then look no further than this short video tutorial. 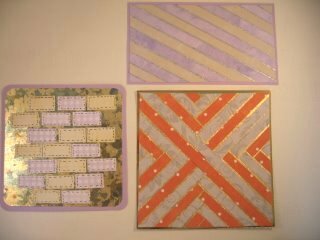 You can use up your bits of left over papers to make an unusual pattern, and the pattern can be any that you care to add to the card. Blend the colours of your papers so that they sit comfortably side by side on your project, and match them to the toppers that you are going to use. That way you will create a really pleasing card. You can add the same decoration to the inside of the card and any boxes that you wish to send the card in. That would give a really professional look ... especially if you are going to sell them. Be adventurous and see what patterns you can create. I have used gold or silver gilding flakes to give a really opulent look. Glitter also gives a pleasing effect, but make sure you press it well onto the glue gaps. It is an effect that would suit any occasion and you can also use it for your male themed cards. 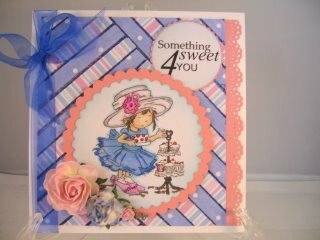 I hope you will enjoy this tutorial and that you will give it a try on your next cardmaking session.